It is cold night in the Berkshires, but I am enjoying the warmth of family and friends in my parents’ home. I am in Massachusetts and it is March 2013 – but merely observing the ongoing events, we could be anywhere in the world at any point in time. This uniformity and timelessness is one of my favorite aspects of the Passover seder, the Jewish ritual meal that celebrates the Biblical exodus of the Israelites from Egypt in specific – and freedom in general. 72 hours ago, I was in the DMZ – the North/South Korean Demilitarized Zone – where I visited the Joint Security Area. 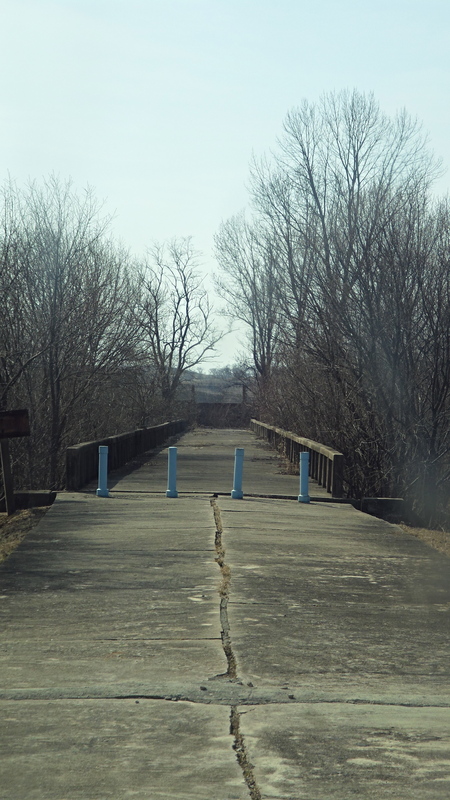 Created as a provision of the Korean Armistice Agreement signed in 1953, the DMZ is a neutral enclave for the North Korean (DPRK) and South Korean (ROK) armed forces (joined by both the UN and US Army). Following a fatal incident in 1976, the Military Demarcation Line was established, shifting the area from “joint” to parallel but separate. Effectively, the two sides now stand in a 24-hour face-off, each on their side of the uncrossed line. 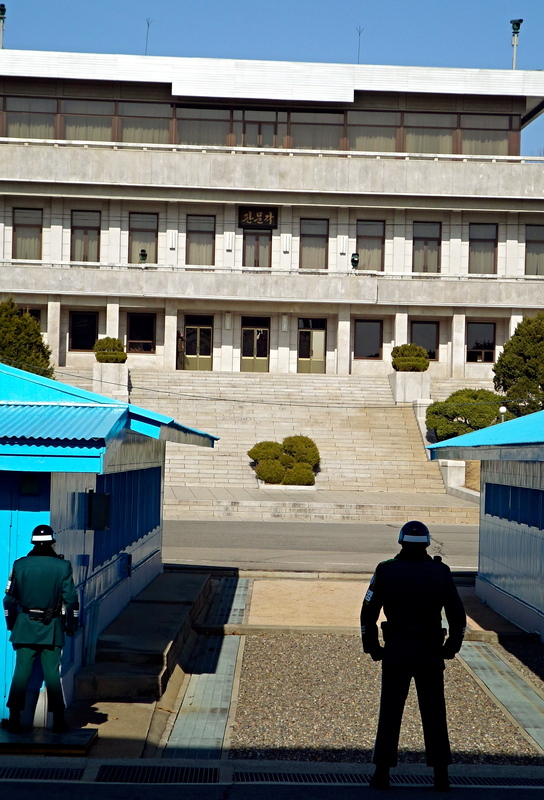 On the South Korean side stands a row of small “temporary” buildings, with 2 ROK soldiers statue-still in martial arts stances, with eyes covered by sunglasses so as not to provoke a staring contest. 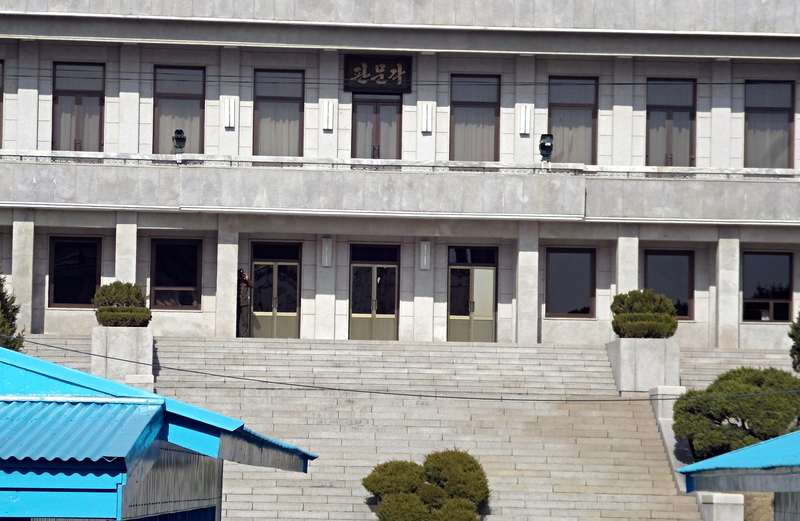 Directly across from them, on a staircase of a more permanent building, stands a North Korean army official, shrouded by the shadows of the doorway, staring at his enemy through binoculars. Above him, the curtains in the window are half drawn, obscuring a second North Korean officer, clicking away, photographing anyone who steps into his line of vision. It is both eerie and surreal. The question that begs to be asked is: why are we instructed to change the subject of the exodus story from the Biblical Israelites to a that of “what God did for me” for an ancient story that is retold each and every year? By re-appropriating the narrative as a personal retelling of the exodus, we wear our histories as our own, connecting the present to our past. By going through this motion each and every year, we create a mechanism by which we ensure that the past is bound to the future. What, then, is the connection to North/South Korea? It has been argued many times that the creation of separate North and South Koreas, delineated by the 38th parallel, is an arbitrary construction, imposed on a map to separate the 1950s Communist powers of neighboring Stalin’s Soviet Union and Mao Zedung’s China in the North with democratic ideals in the South, supported by a United States exhausted from the recent World War. No differences in ethnicity. No differences in religion. No differences in language or culture or history or any of the multitude of factors that underpin most conflicts. It was a false separation – but one which resulted in a fratricidal war. Over the last few weeks, I have spoken with a number of Korean friends. Several told me of their family history, of grandparents from the North, of their grandparents caught in the South on business during the breakout of the war and during the signing of the armistice, of the inability for them to return home after the cease fire. I learned of family members who were unable to flee to the South, fates unknown, their families unaware to this day if any have survived. Exactly 60 years after the signing of the armistice, today the two countries are separated by much more than just the 38th parallel – with prosperity in the South in stark contrast to starvation in the North. Young Koreans are wary of the economic ramifications that the absorption of the ravaged North may have on their country, despite the successful precedent of East & West Germany in 1989. With Germany as an example of what may be possible, I have asked myself if the challenge transcends the economic to something deeper in the national psyche. And so, in reading Exodus 13:8 tonight, I began to think about whose narrative South Korea is telling. Unlike our explicit instructions for Passover, my friends in Seoul tell of the exodus of their ancestors. Their collective memory excludes them personally – their story is of a past that is becoming increasingly disconnected from their present – and future. At the end of each seder, we recite the phrase “next year in Jerusalem,” reflecting and affirming the traditional Jewish longing for a peaceful and Messianic capital – both figuratively and literally. Perhaps this year, at a seder in Seoul, someone at this very moment is saying, next year in Pyongyang. This entry was posted in Asia, South Korea. Tagged ‘It is because of what God did for me when I came out of Egypt.’”, “You shall tell your son on that day, berlin wall, Bible, biblical, china, communist, Demilitarized Zone, democracy, DMZ, DPRK, east germany, Egypt, ethnicity, exodus, exodus 13:8, family, freedom, germany, god, history, Israelites, Jerusalem, Joint Security Area, JSA, Korea, Korean Armistice Agreement, lord, mao, mao zedung, Military Demarcation Line, next year in Jerusalem, North Korea, Passover, Pesach, Pesah, philosophy, prosperity, Pyongyang, religion, ROK, seder, seoul, South Korea, soviet union, stalin, starvation, UN, unification, united stations, US Army, west germany, world war II. Next Post Next post: Where should I go next? ?